When a loved one dies, a little bit of yourself dies with them. This is just one theme explored in Michael Haneke’s latest film, Amour. Amour is an unsentimental story about love and loss, and how the bounds of love and selfless devotion are tested when an elderly couple find themselves dealing with death. At times, Amour is painful to watch, but Haneke’s skillful and minimal approach to film making elevate this film beyond the schmaltzy stuff that American audiences tend to get. 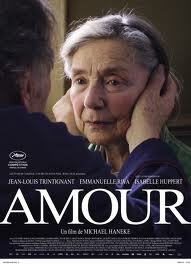 Amour is my choice for film of the year. For those of you too young to remember, ABBA defined 1970’s music. At the time, ABBA was considered uncool and dismissed as frivolity. But over time, ABBA’s music has gained respect and it continues to be played. 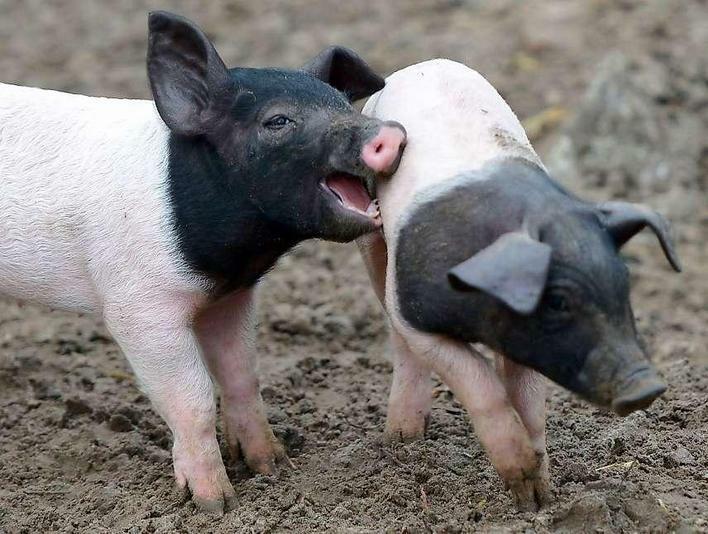 Each year, Berlin’s Animal Park (Tierpark Berlin) selects Berlin’s lucky pigs for the coming year. (Does that mean they will be spared from the dinner plate?) 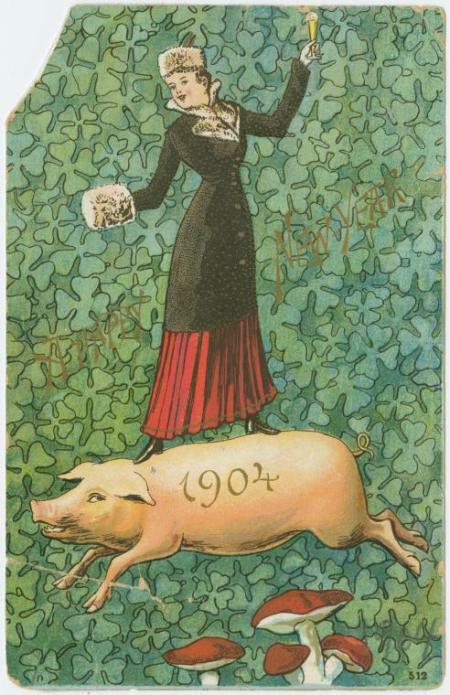 Traditionally, pigs were viewed as good luck, especially at the New Year. Pig charms are very popular in Germany and Austria, including gold and silver bracelets, Christmas ornaments, candies, toys, and post-cards. This notion of the lucky pig arose from the realities of the 18th century: pigs were a source of food and income. A farming family that kept pigs would never go hungry. There’s something perverse in this logic since the pig was not lucky and would eventually be consumed. The year is almost over, and I’m going to miss yet another New Year’s Eve (Silvester) celebration in Berlin. However, for those of you lucky enough to be in Berlin for Silvester, here are a few suggestions to while away the last hours of 2012. With over a million people, the Silvester celebration on the Straße des 17. 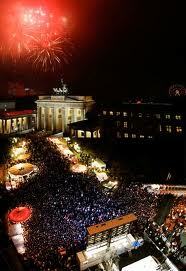 Juni (17th of June Street) near the Siegessäule claims to be the biggest New Year’s Eve party in the world. Live bands, light and laser shows, visual media, countless places to enjoy food and drink, and of course, a huge firework display, make this venue the place to be on New Year’s Eve. Known as the Partymeile (Party mile), this mile long outdoor event has bars galore, international food stalls, music performances, and plenty of dance floors. 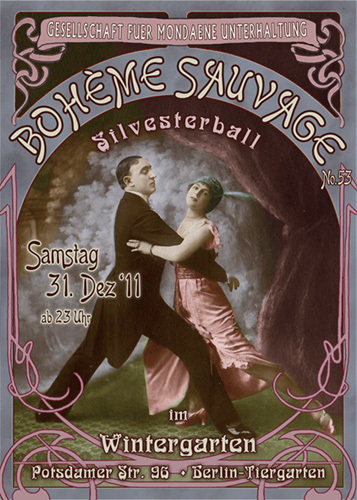 For those of you that want to celebrate New Year’s in a unique fashion, there’s Bohème Sauvage at the Wintergarten. This 1920s style theme party features period music and food. Get dressed in vintage 1920s clothing, dance the Charleston, drink a little Absinthe, play poker, and enjoy a stage show. Life is a Cabaret at the Wintergarten. For dance enthusiasts, the Kulturbrauerei has a Silvester Party featuring 15 dance floors. Whatever your musical taste, you’ll find something at the largest indoor party in Berlin: Rock, pop, dance classics, R & B, House, and Electro. 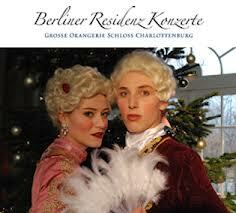 Finally, celebrate Silvester with a concert at Charlottenburg Palace. The Beliner Residenzorcheser will perform Mozart, Strauss, and others. This baroque palace serves as a backdrop for the orchestra who will be dressed in traditional costumes. 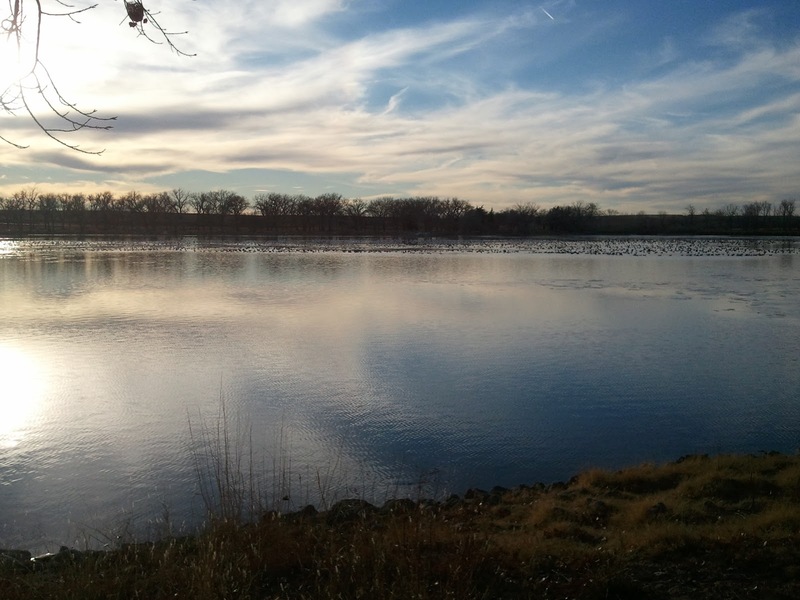 Visiting the US Great Plains is like traveling to a foreign country: the food is hearty, the people friendly, and the folksy American accent is prominent (and to me, I must confess, a bit irritating). The flat and almost desolate landscape gives way to a farm here and there. The long stretches of highway crossing the prairie can be monotonous; yet, I find them soothing, almost calming. I’m in Plains, Kansas for the holidays, and it’s a world away from the excitement of Berlin. WiFi is difficult to find, but fortunately, the modern and stylish Plains Public Library has an excellent WiFi connection. 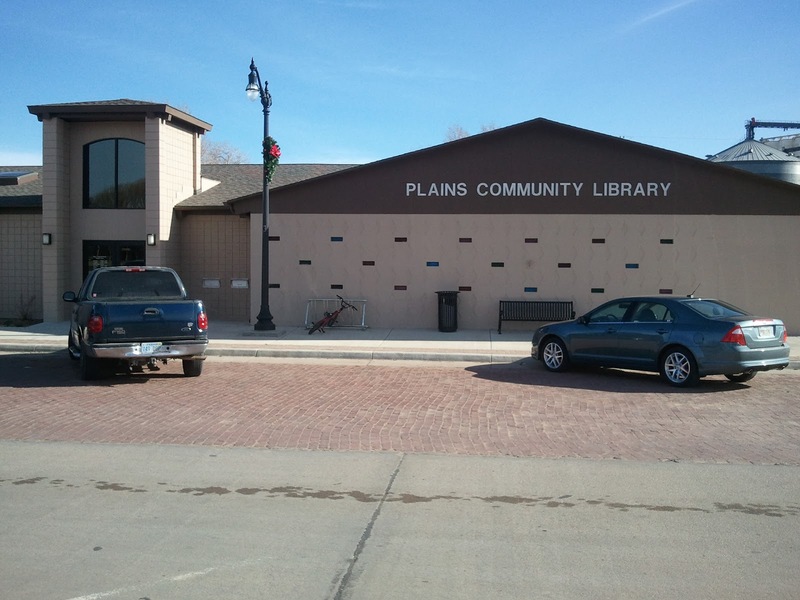 For a town with only 1,100 inhabitants, the Plains Library is excellent. 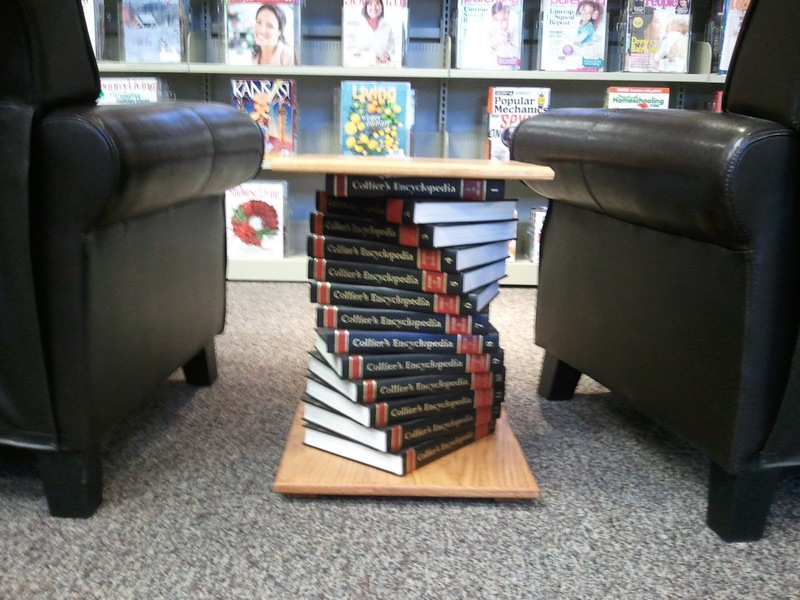 Take a look at the end table, made of encyclopedias, in the library foyer. Wow! BTW: Mama Fina’s, the Mexican restaurant in town, has the best pancakes I have ever had. 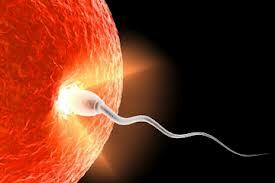 Who would have thought!